This week, we are continuing our look at temperature issues in refrigerated transportation with the final installment of our series, Transportation Claims 101 (check out the first and second installments). One of the major disputes with claims in the transportation industry is whether the problems that are seen at delivery are a result of the condition of the product when it was loaded, or are a result of poor transportation conditions. In this post, we hope to shed some light on the common areas that claims focus on with regards to the reefer download, to show how such disputes are resolved. The columns of numbers on a reefer download can feel like information overload, if you’re not certain what you are looking for. Reefer downloads commonly have data presented for set point, return air temperatures, supply air temperatures, and operating modes. Therefore, it’s not surprising that carriers and vendors sometimes end up focusing on different sets of numbers when attempting to make their case. You have to know which data to look at for the issue at hand, be it for alleged warm, cold or inconsistent temperatures in transit. When warm temperatures in transit are alleged, the return air readings should be the focus. 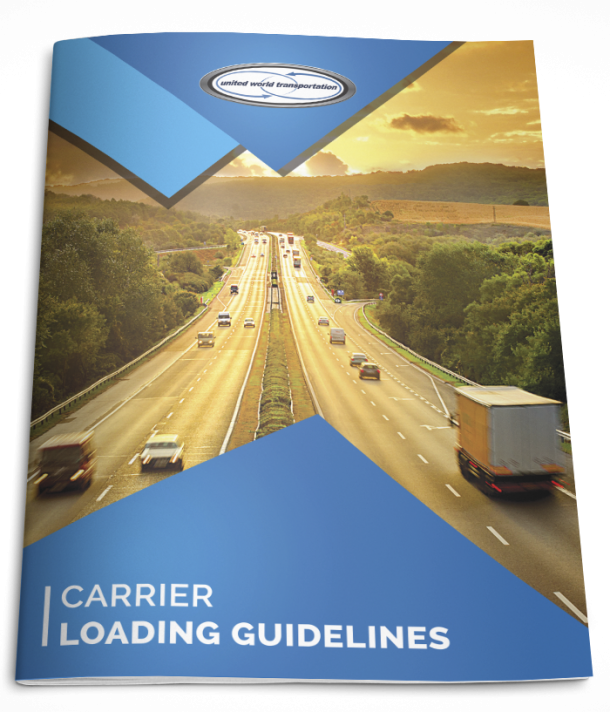 Fundamentally, carriers are responsible for protecting the product in their possession by cooling the air throughout the length of the trailer. 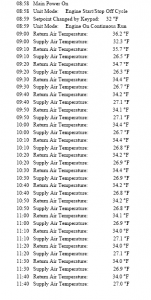 Because the return air sensor on the reefer unit (located at the nose of the trailer) measures the temperature of air that has been circulated through the trailer, these are the relevant readings when warm temperatures are alleged. Return air readings will usually be a few degrees warmer than supply air readings because heat from the produce and outside temperatures will warm the air in the trailer as it travels down and back the length of the trailer. When it comes to claims for alleged cold temperatures in transit, the supply (also often called discharge) air temperature readings take on greater significance. If, for example, a U.S. Department of Agriculture (USDA) or Canadian Food Inspection Agency (CFIA) inspection certificate shows that the top layers of product in the rear of the trailer are frozen (or perhaps thawed but affected with freezing injury), a corresponding reefer download that shows the reefer unit was supplying air significantly below the freezing point for the commodity in question will likely be sufficient to establish a claim. Additionally, it is worth checking the column showing the operating mode. This can be useful in instances where the carrier attempts to save on reefer fuel by running the unit in start-stop/cycle sentry mode rather than on continuous mode. It’s widely understood that reefer units must be run on a continuous basis to “wick away” field and respiration heat from fresh produce. Trading Assistance: Contentious Transportation Issues – Part 2. Dough Nelson. Appearing in Blueprints Jan/Feb/Mar 2016.